‘I want to focus entirely on what matters to me, my music. I feel weighed down by the business and admin responsibilities that come with it’. Instantly this rung alarm bells… To me, the mentality of ‘somebody else does it for me’ simply isn’t the right philosophy. Ultimately you need to be in control of your own development. Always check yourself, ‘have I practised enough, does this need more time and effort, have I read enough around the subject, so I understand the details and outcome of this project.’ In short are you ready? If so be ready to OWN IT and be accountable for everything. No task is beneath you. The word NO is powerful. 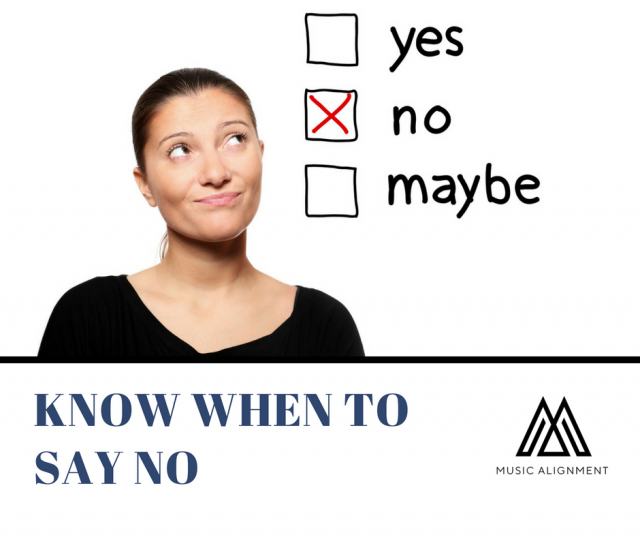 Saying ‘yes’ to too many things wastes your time – whereas a No can save you precious time. This might seem obvious but for some reason, people are scared of saying No. No, really helps you gain focus on your goal and saying yes should align you towards that end. That could involve saying No to yourself. But you have to learn when to use it. In this case, the artist realised they were the one holding themselves back. Too many ideas, not enough completed. They realised that ultimately it was them that wasn’t managing themselves. A powerful self-realisation. Knowledge may be power but if you aren’t organised you’ll never get around finding it in the first place. Without planning and action, one will never make steps towards progress. We noticed in the 2nd box were all the activities that had been put off repeatedly. We realised that ‘seemingly urgent’ things in their life, i.e. box 3 activities, were sources of constant distraction. Not important but social death if I don’t do it. Its a fact that the more time you devote to that 2nd box the more you’ll notice that first box begins to shrink. Suddenly instead of crisis management, you become preemptive and self-equipped with the knowledge to avoid getting into that ‘urgent crisis’ mode in the first place. Keep on top of yourself. You scratch my back I scratch your back right? Well, this isn’t always how a deal goes down sadly. 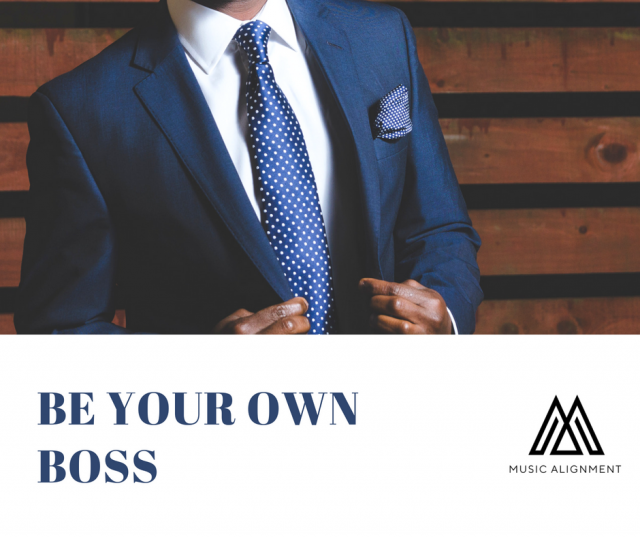 No one wants to feel like they have the bum end of the deal, so why set one up yourself? I win a manager…. they get to lose their time. Maybe if their proposal was differently weighted I may have been more inclined to see their management as a value-added project for myself. 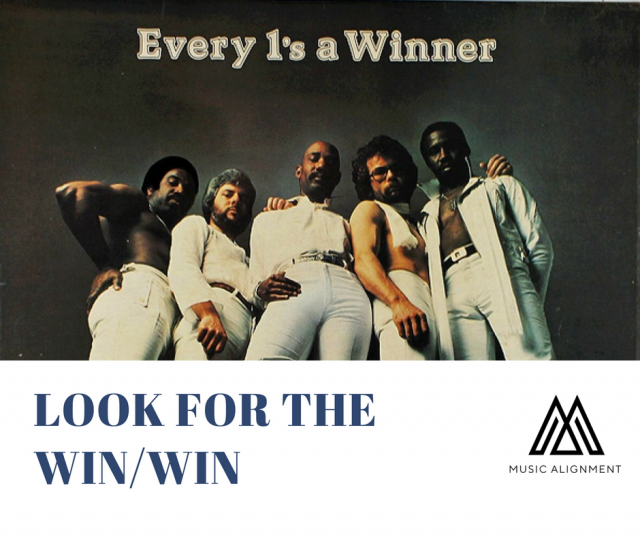 Make every one winner… not just yourself. Inspiration comes through synergy, synergy often comes through a balanced mind, a balanced mind is often the result of a happy heart. Maybe that’s doing exercise, listening to a podcast/song, reading an autobiography, having a conversation with a role model or even writing a blog or email. Inspiration & creativity are delicate things. They need to be nurtured and cared for with a balanced approach. 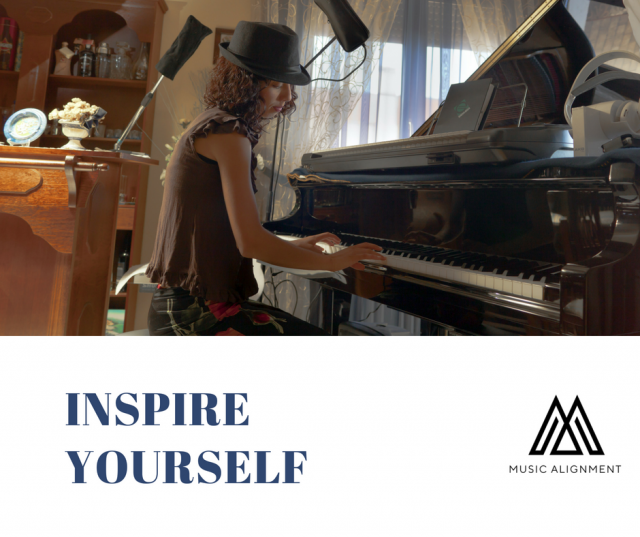 Sometimes inspiration has to come from INside yourself, as you can’t always rely on the external. Facilitate yourself to inspire yourself. You never know when the universe is going to throw something back at you! Sometimes it’s knowing when to say yes to somebody that really changes the shape of events. Being humble makes you receptive to those moments where your help is needed. Although this may seem a distraction from your own agenda sometimes it’s not about ‘me’ and ‘my world’. So instead of being a ‘yes man’, it’s far more powerful to know when a ‘yes’ will make a world of difference. Much in the way I didn’t say ‘yes’ to the artist’s inital request, I did say ‘yes’ to helping that artist. We forget that time is our most precious and valuable resource. Everybody is given the same amount of time as Beyonce, how will you use yours? 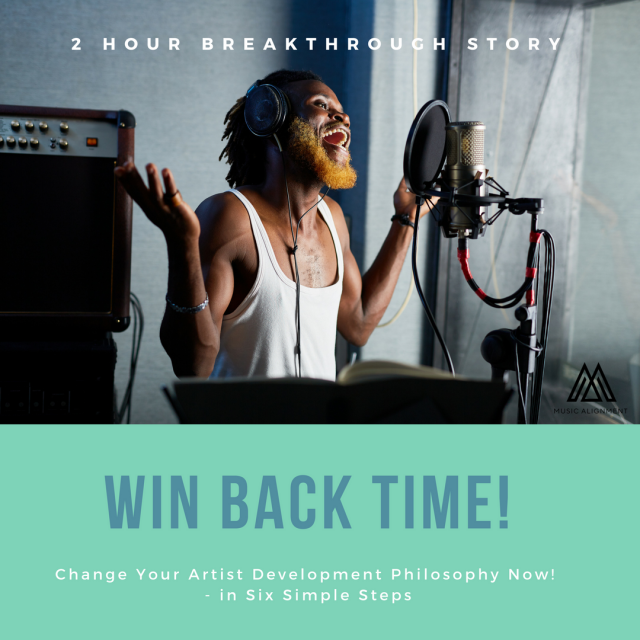 I showed this artist a powerful lesson not only artist development but their personal development. Without our time we have nothing. Winning back time is seriously better than earning money. Make your own sentence to remind you. Write down a list of personal examples against these principles. 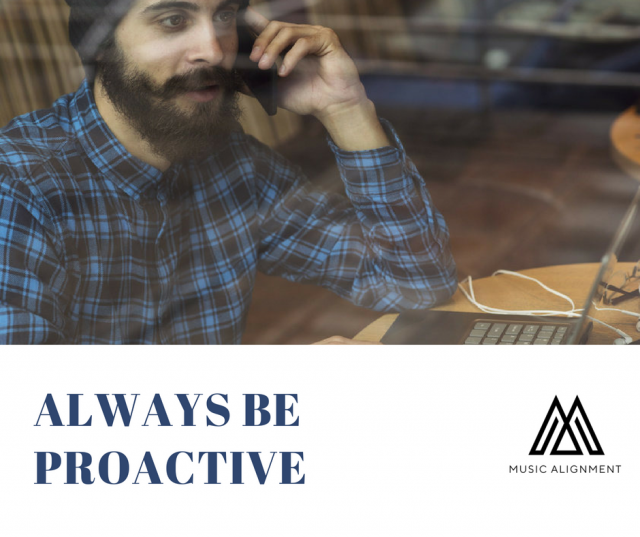 Compare with the times throughout your own music career where you achieved and didn’t achieve these principles. If you’re struggling to find examples for them, maybe you need to spend time trying to adopt these principles. Take this quick self-assessment and one of our team will get back to you about booking a free consultation shortly. 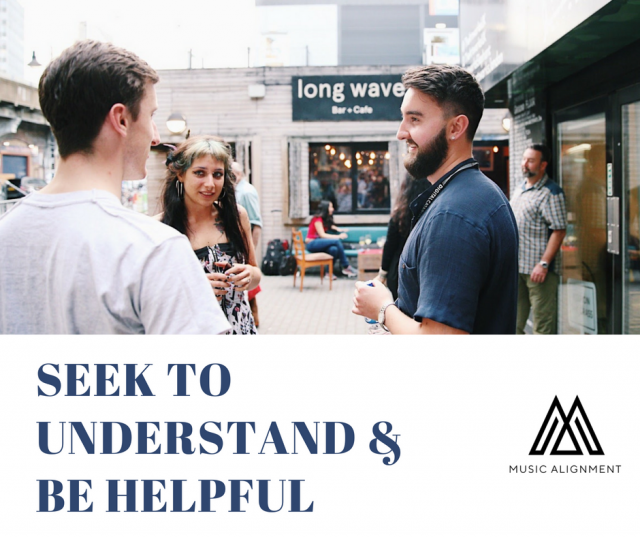 The Secret to Your Voice Being Heard by a Noisy Industry!